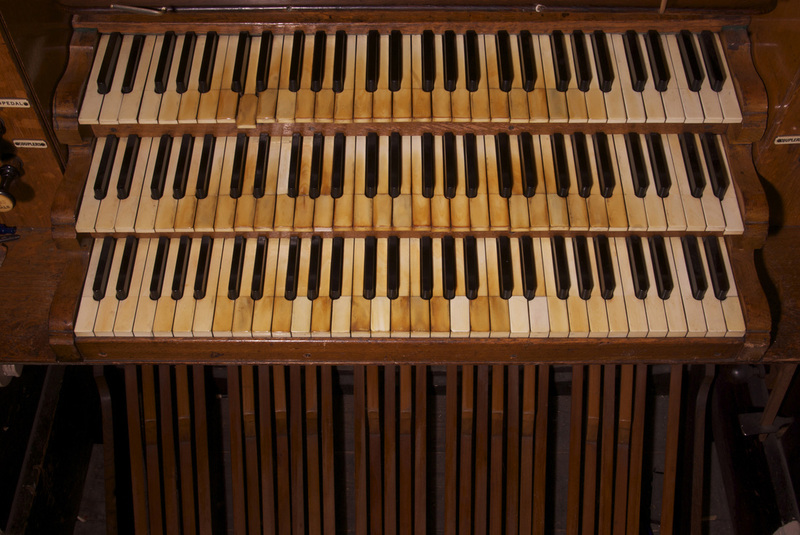 Why should the organ have been restored, why should the organ have been moved, and why should it have received a new case? 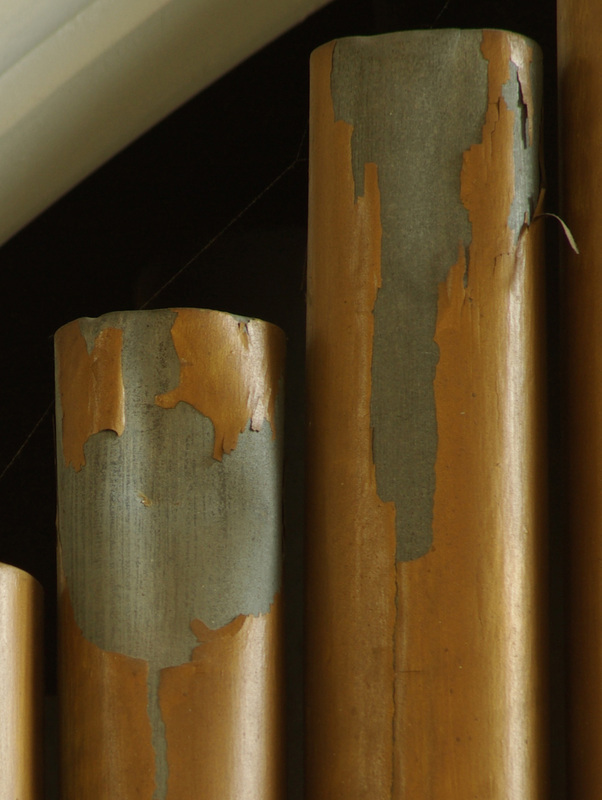 Although various minor repair works have been carried out over the years the organ was in need of a complete 125-year overhaul. 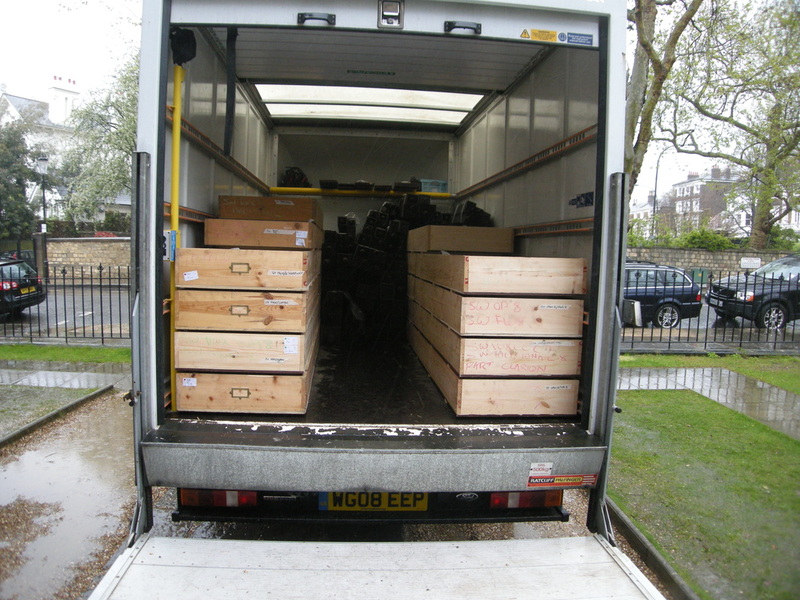 Whilst still in regular use it was not up to public performance standard. 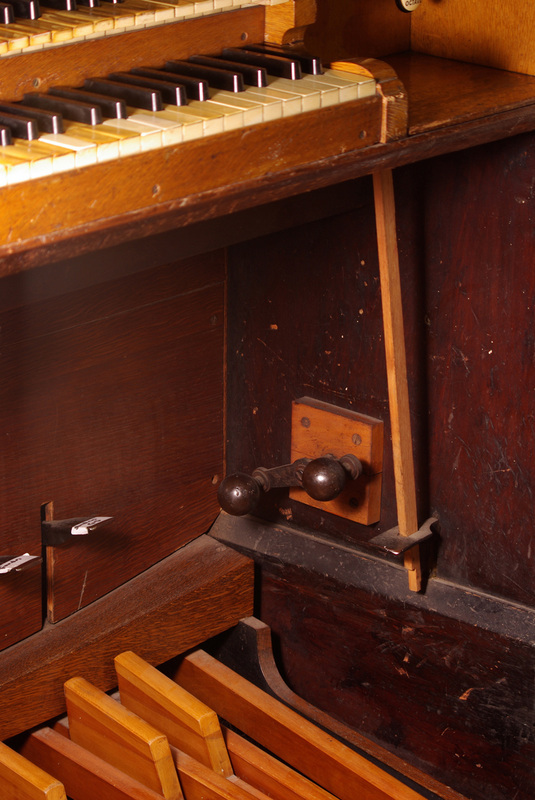 In particular the 217-year-old soundboards were seriously split causing pipes to sound unbidden. Leather items such as the bellows rot with age and were in need of re-leathering. 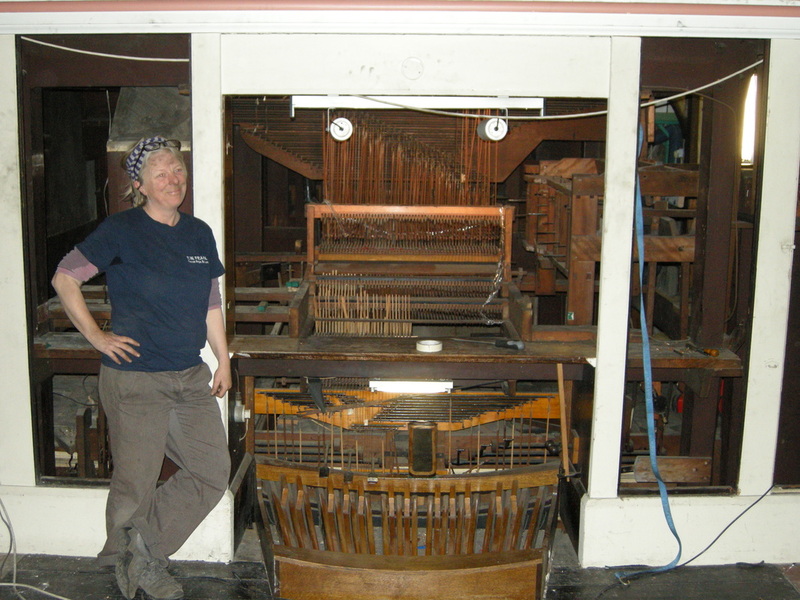 The working joints of the mechanical parts of the actions needed repair if the organ was to continue in use. 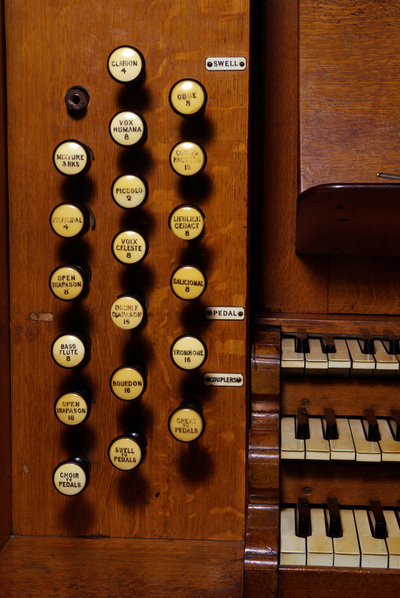 The panel below is taken from the new history exhibition which now surrounds the organ, more info about this by clicking here. Looking at the acoustical issues in more detail there were two sound outlets from the interior of the organ into the church when located in the Lady Chapel. The main outlet transmitted sound northwards into the chancel. 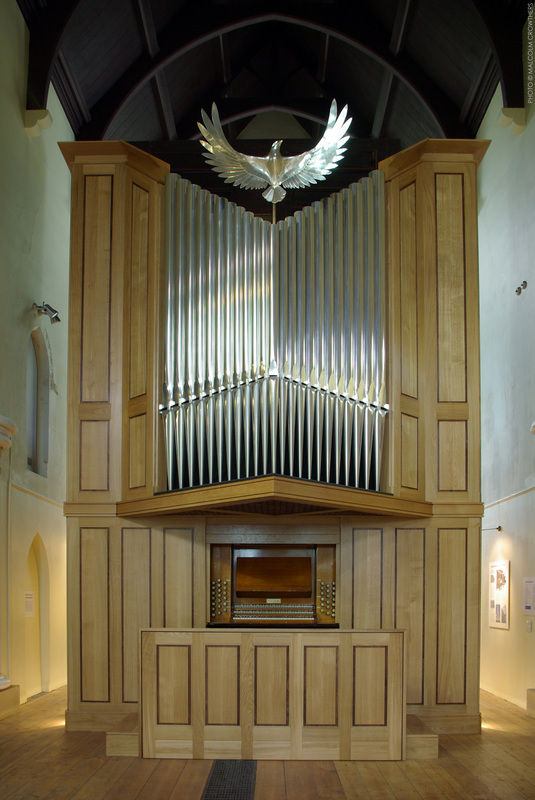 However, the masonry arch connecting the organ to the chancel allowed a sound outlet approximately 12 ft (3.6 m) high above the impost at its maximum with the spandrels of the arch coming down to only about 8 ft (2.4 m) above the impost and an average of 10 ft (3.0 m). 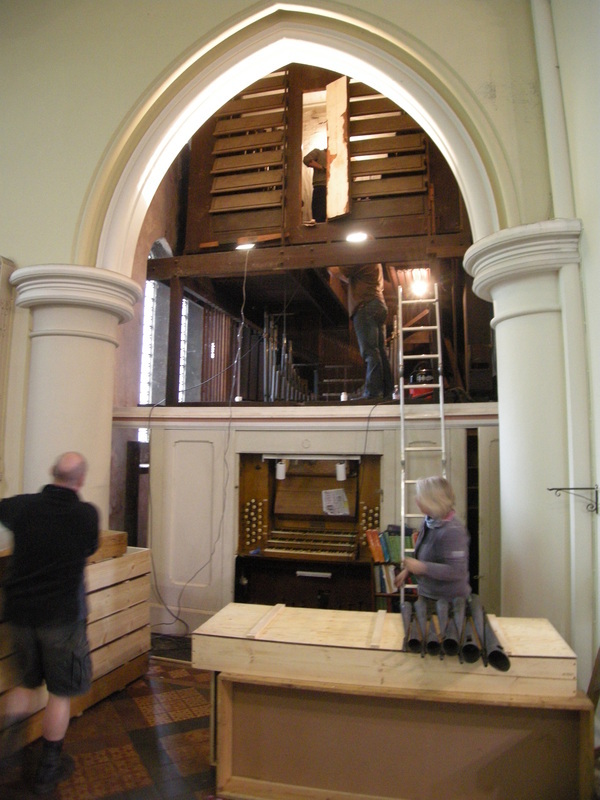 By contrast the organ itself rose 16 ft (4.8 m) above the impost, almost to the roof of the Lady Chapel. In addition the arch opening was only about 11 ft (3.3 m) wide whereas the organ itself was about 15 ft (4.5 m) wide. 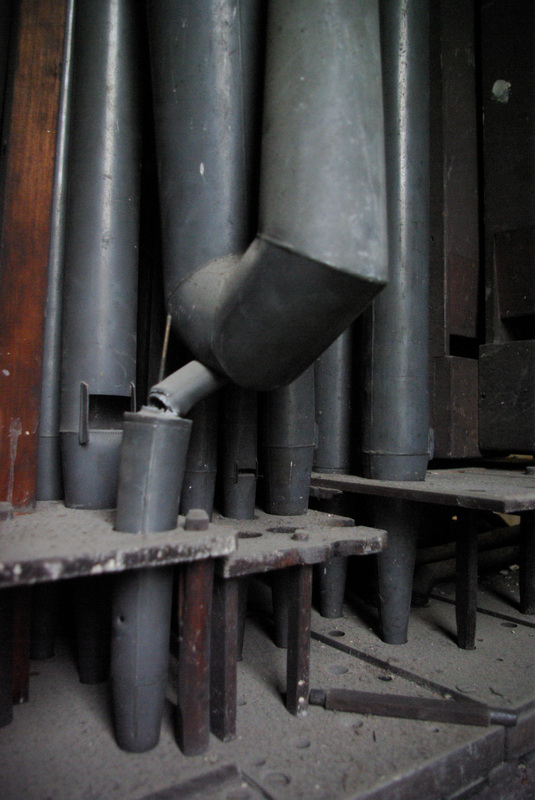 The effect of these constraints is that much of the sound of the organ was reflected back into the instrument from the back and sides of the arch and from the wall above the arch. Even once the sound had escaped into the chancel it still had to be reflected from the north and south walls, floor and roof interior before it could reach listeners in the nave. The second opening into the south transept appeared to be better placed to project sound into the crossing and nave. However it was of little use in practice. 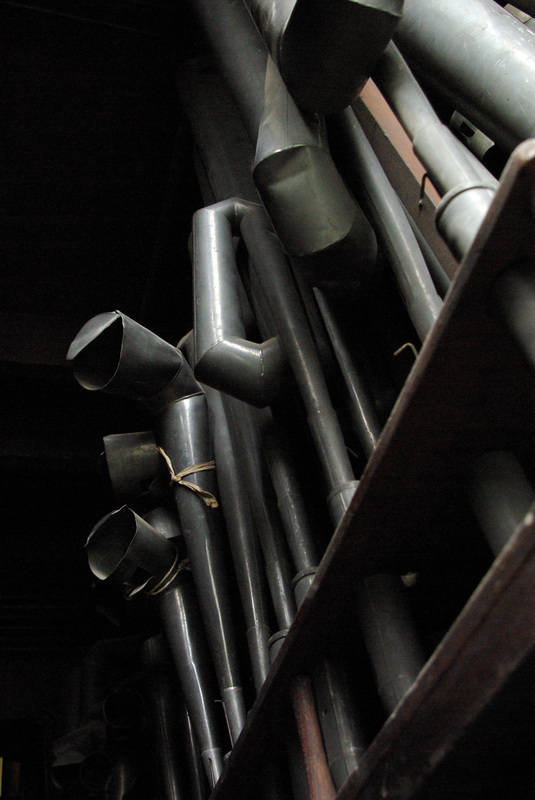 This was partly because of its dimensions, even more restricted than the opening into the chancel, and partly because the 1885 mechanism forced the interior layout of the organ to be such that it was only the sound of bass pipes played by the feet that emerged from it. It was not possible to alter this arrangement without destroying an important part of the historic mechanism. 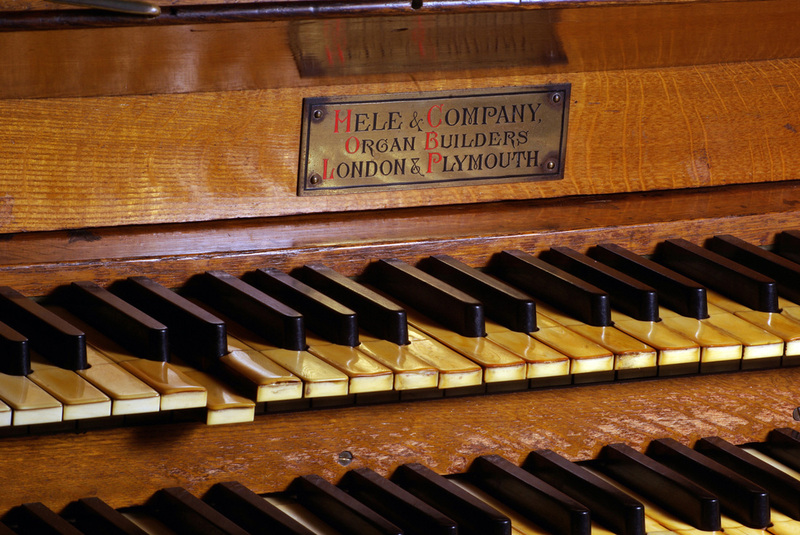 Were it not for the heritage value of the instrument it would theoretically have been possible to reconstruct the organ to be much louder in its previous position. However this would have involved major replacement of pipes and complete replacement of the action with one that would work on high pressures. 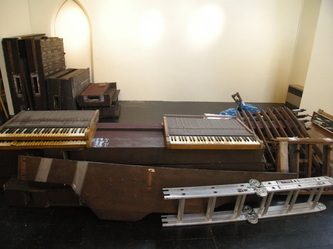 Such a course would have completely destroyed the historic quality of the organ, would have lead to withdrawal of the Historic Organ Certificate and would have very probably attracted the opposition of the Diocesan Advisory Committee to a Faculty application, even if an organ builder could have been found who would have considered such work to be consistent with his or her accreditation. 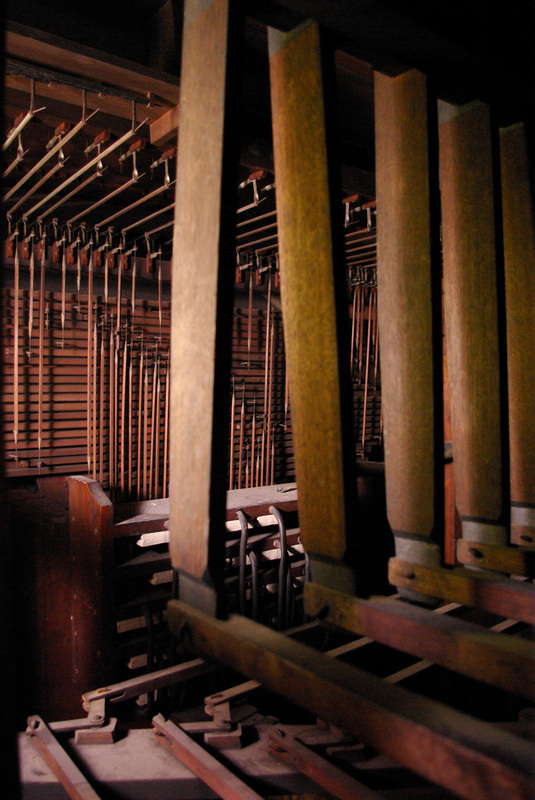 The alternative of a return of the organ to the West Gallery had been extensively discussed, but as altered in 1885 the organ would have blocked too much light from the west window for this to be acceptable. The size of the organ would also have required the West gallery to have been completely reconstructed. 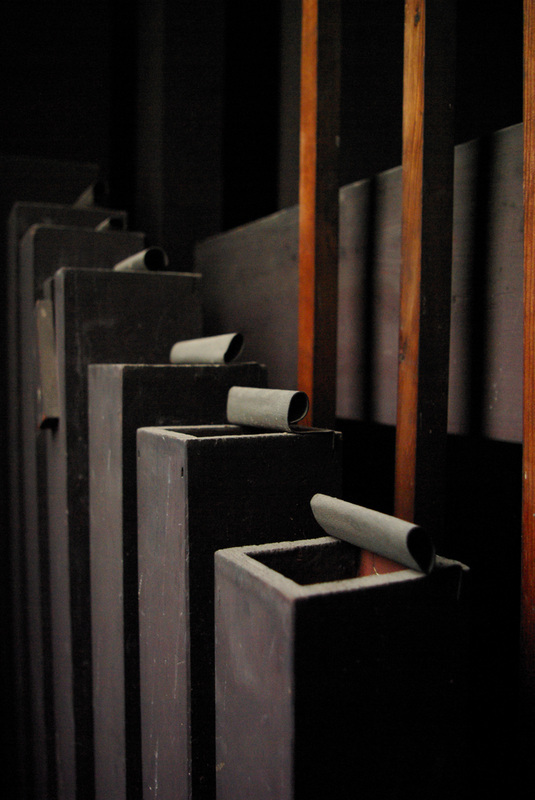 The new position of the organ, in the north transept, eliminates the sound blocks originating in the Lady Chapel arches as described above. 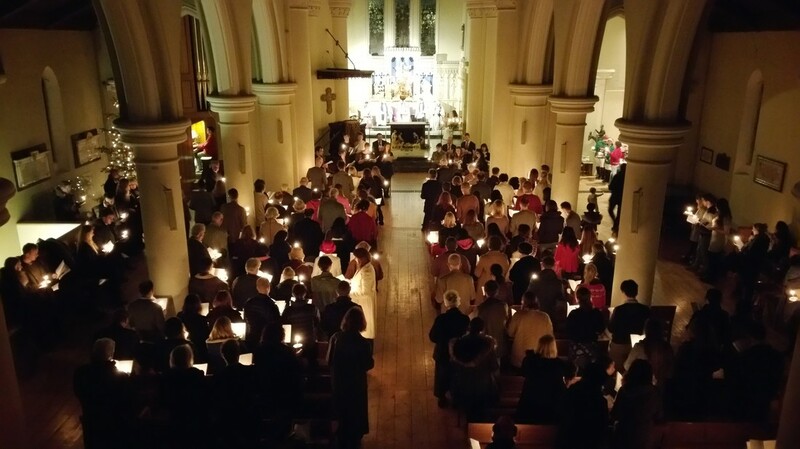 The sound still, to some extent, comes ‘round the corner’ from the nave but the removal of the carpeted platform, revealing an acoustically reflective floor, ameliorates this disadvantage. Much like the example of the organ in Bath Abbey where the organ is in a similar position but set further back in the transept, the organ at St John's is louder in the crossing than elsewhere but still has sufficient presence in the nave to achieve its musical objectives. Above: new position of organ in the north transept. Removal of the organ to a more open position, where it can be properly heard, necessarily involved a new case, since the original was lost in 1873 and the interior mechanism was never designed to be seen. The side case (probably of 1873) has been retained, but was much too small to cover the front of the instrument. A new case has been designed in modern style by architect Simon Ablett and built by Penny's Mill. 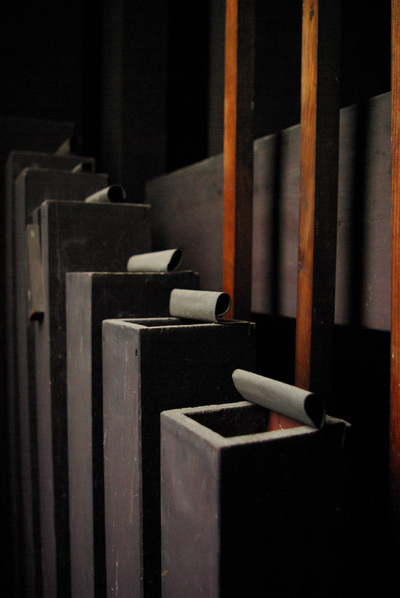 An educational benefit of moving the organ with a new case arises from the fact that the masonry surrounding the organ in its previous position made it impossible to make the historic mechanism and interior pipes available for public view. The new case has made provision of the necessary see-through panels feasible for the first time, allowing visitors to view the mechanisms of the organ. 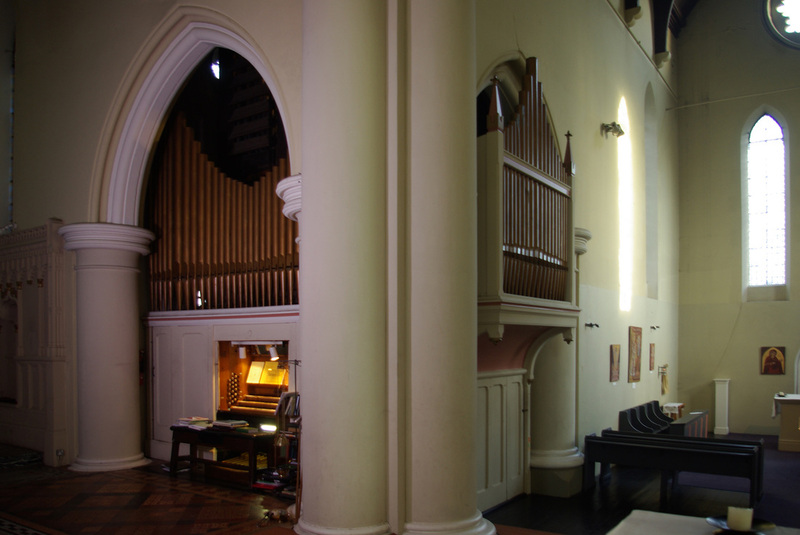 The restoration proposals for the organ, its relocation, and the design of the new case, were all been approved by the London Diocesan Advisory Committee for the Care of Churches. In addition, the national Church Buildings Council also gave its approval following a visit by the Chairman of the Council’s organs committee. 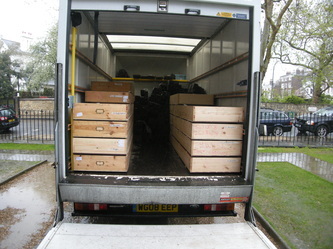 English Heritage and the Victorian Society had also indicated that they were happy with the proposals. We are grateful to John Norman for his significant contribution to the project. He is the source for much of the above information. John is an independent organ adviser. For more info please see: http://www.aioa.org.uk/advisers/members/johnN.htm.